Last week was busy per the usual run-up to one’s vacation. I found myself at the office until 9:30pm Thursday night, rushed home, packed, cleaned, then we woke up at 3:30am to grab our bags and head to the airport–Australia here we come! Get ready for the most photos I’ve ever put in a post. We flew through customs, grabbed a cab (not the best choice since we arrived during morning rush hour – always take the train!) and met up with my frolleague Tori at her office in the central Sydney. 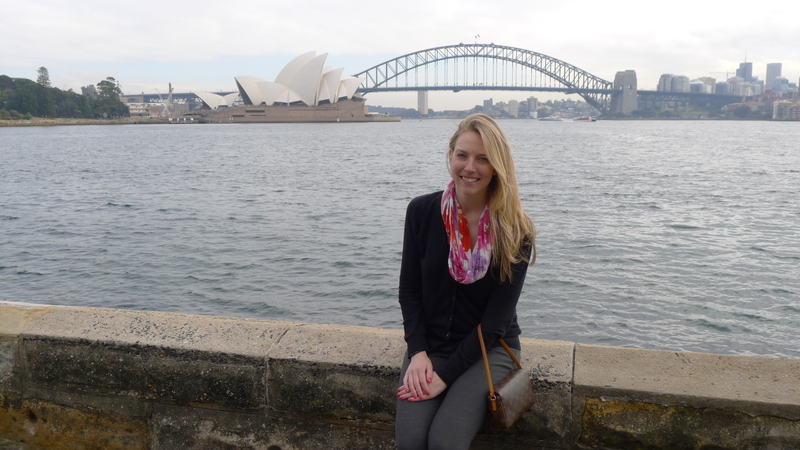 After dropping our bags off at her flat, we walked…and walked…and walked. 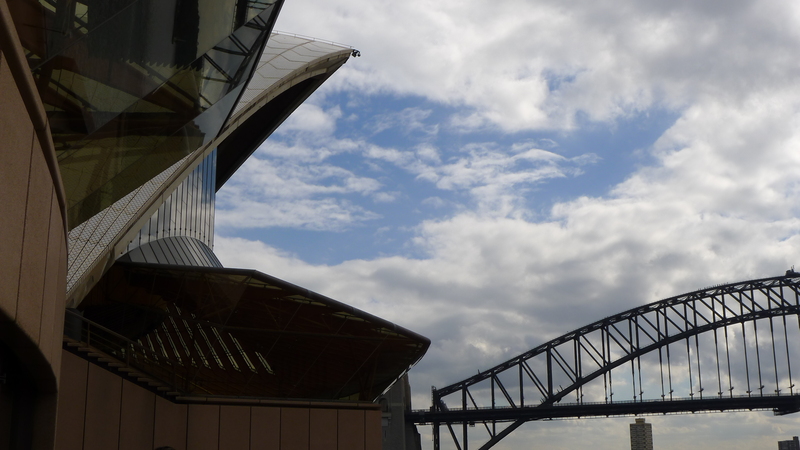 If I could describe our 2 days in Sydney in one word…”walking.” The park peninsula was our first stop, I will never get over the Opera House views! 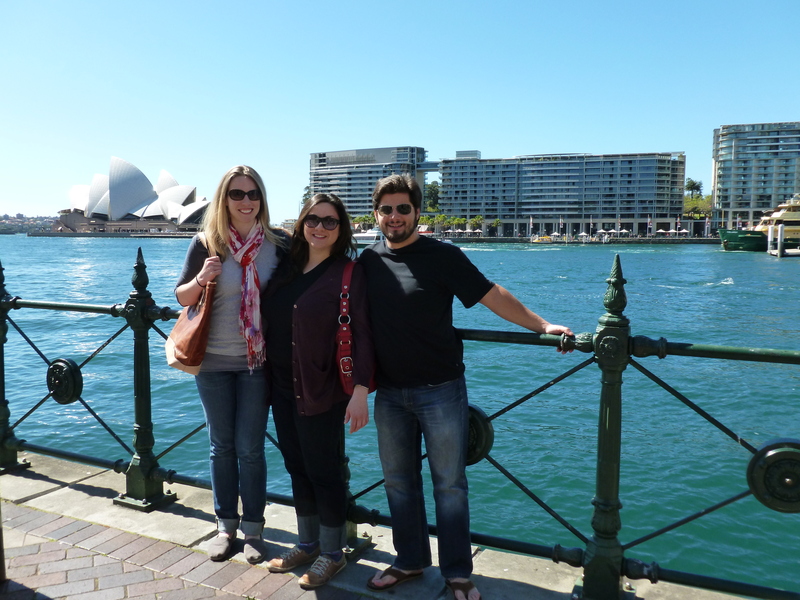 After walking around for a few minutes we decided we should take the Opera House tour. 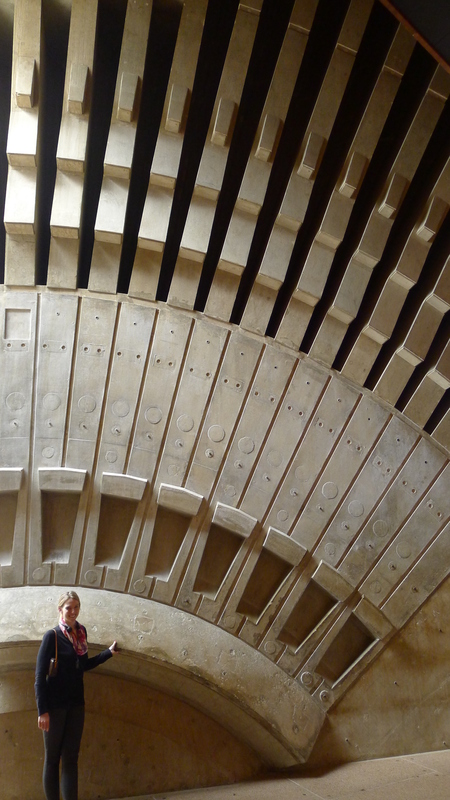 I took the tour with my classmate…oh goodness…6 whole years ago; however, Keith was interested and I’ll always be up for another excuse to go poke around one of my favorite buildings. The tour didn’t take us into as many venues as I would have liked, but I always love re-hearing the story of Utzon the architect working with Arup the structural engineer–their trials and tribulations, Utzon & Arup working together to come up with a fabulous design with structural integrity, Utzon getting kicked out, and ultimately his family being able to continue his legacy… Ok engineer rant over! For happy hour we met up with my coworkers and had a fabulous night hopping around the city. 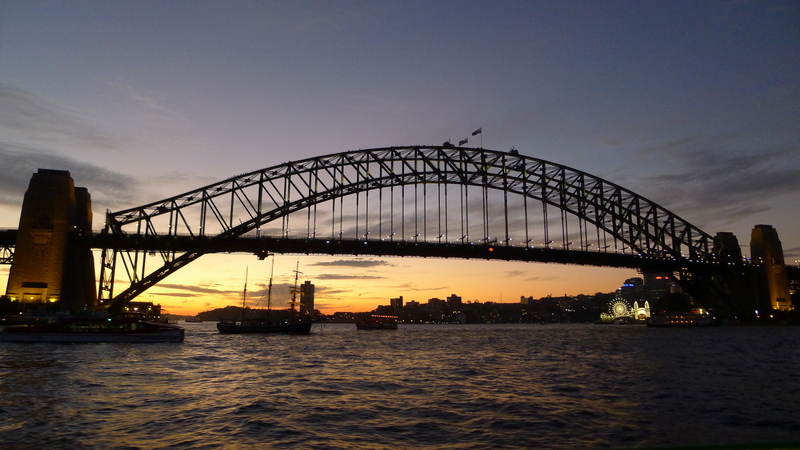 When Tori & I were in Sydney together during our first New Zealand stint in 2012 we managed to stay up until 5:30am. We tried to do that again and failed. 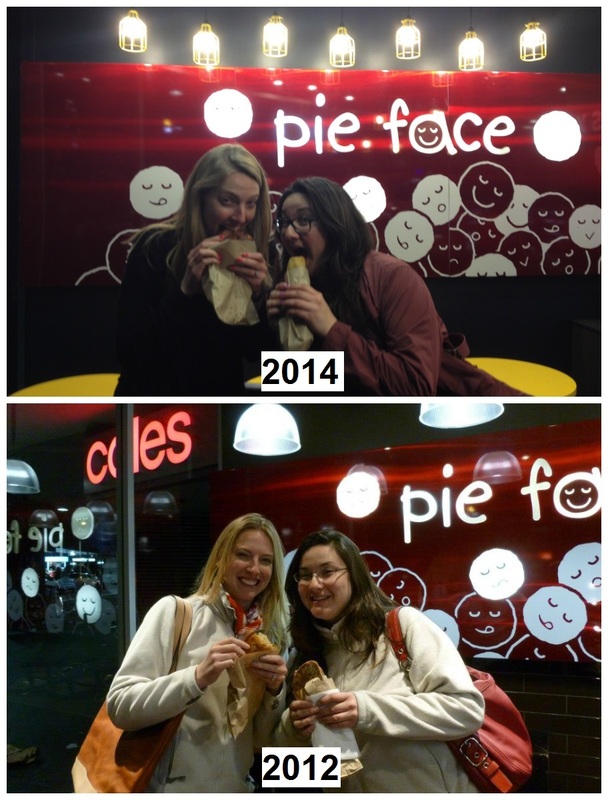 We did manage to go to Pie Face again though after midnight and take another meat pie classic photo. Once we got back to Tori’s flat we did manage to head to the roof, chit-chat, and enjoy the view until late. Unfortunately, no waiting until the sun came up! Apparently 2 years later makes us too old! 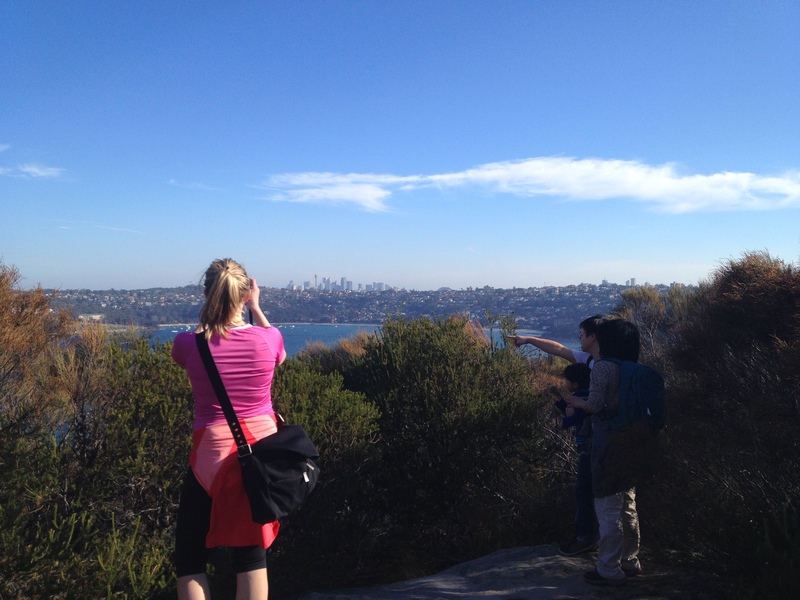 We then walked into the city, hopped the bus, and traveled to Spit reserve to walk the Manly to Spit Walk backwards–a 10km walking train to Manly Beach. I think I speak for all of us that the walk was more tiring than we expected! All of us were pumped to get to the beach and have ice cream. 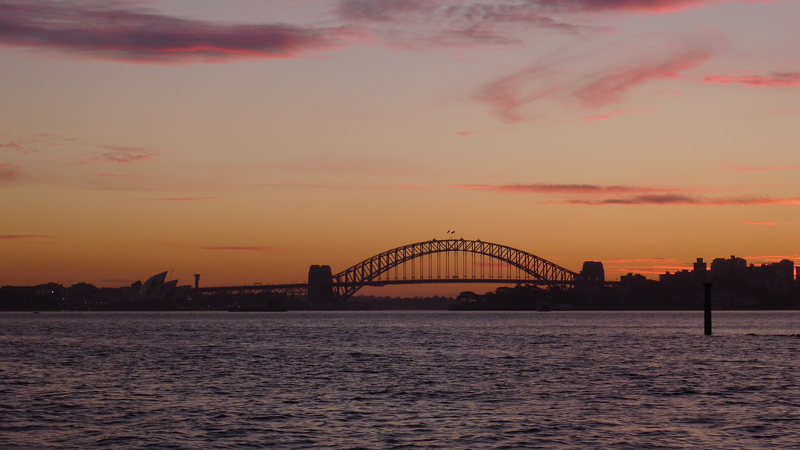 Our timing was perfect as we took the ferry back while the sun set. 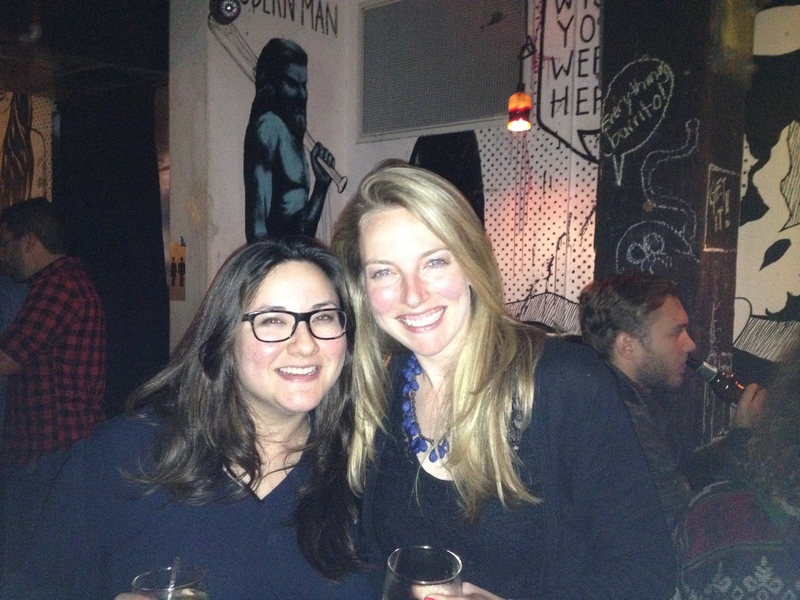 We found a quaint Italian restaurant for dinner and had our last nightcap at a great little bar called The Owl House. 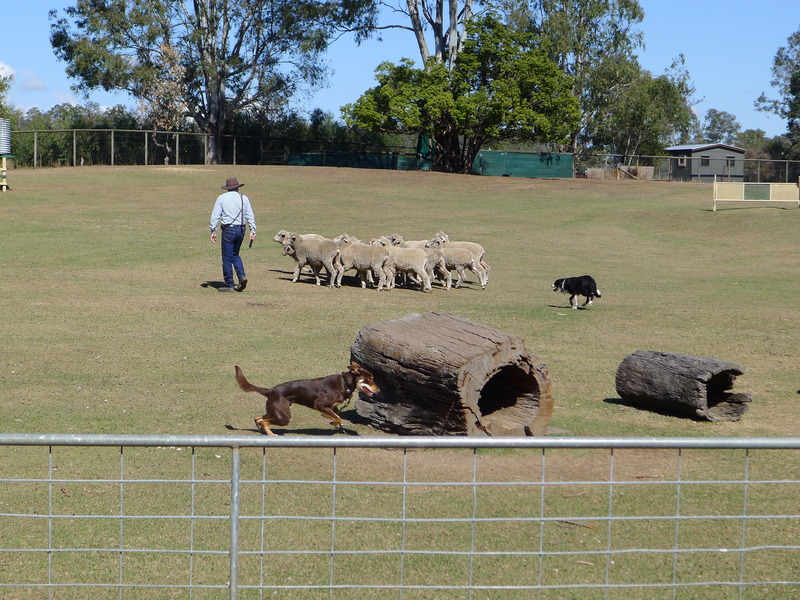 Then it was off to bed and up early again for our flight to BRISBANE! 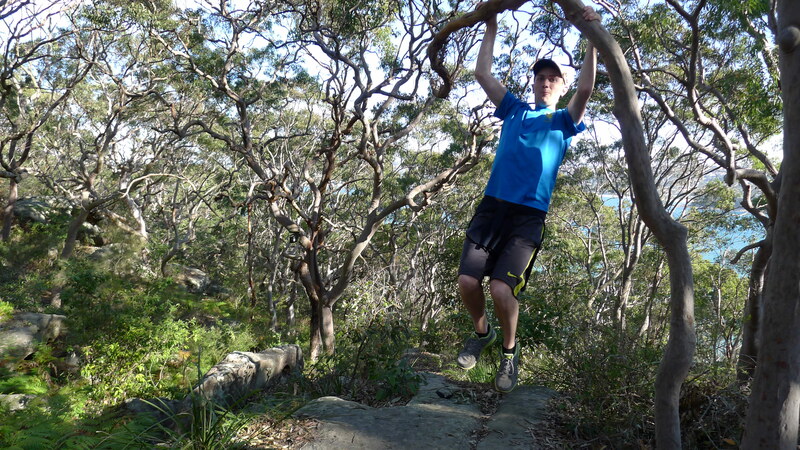 We purposely chose to fly to Queensland to experience some warm weather before flying back to Christchurch. The only time we actually spent in Brisbane was in the airport, we immediately grabbed our rental car (well, after we had an awkward situation of the rental company giving us a manual…left side driving with a manual? 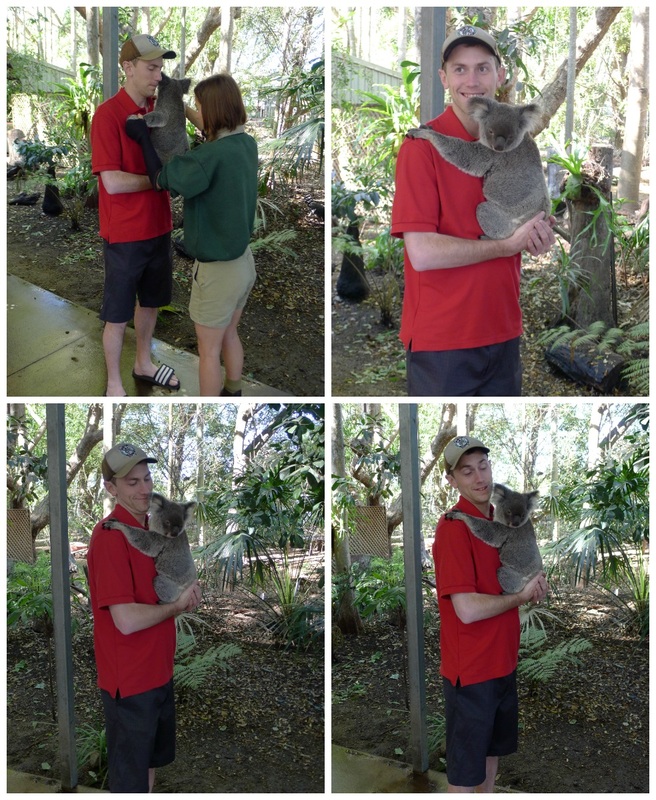 wasn’t happening) and drove to the Lone Pine Koala Sanctuary. 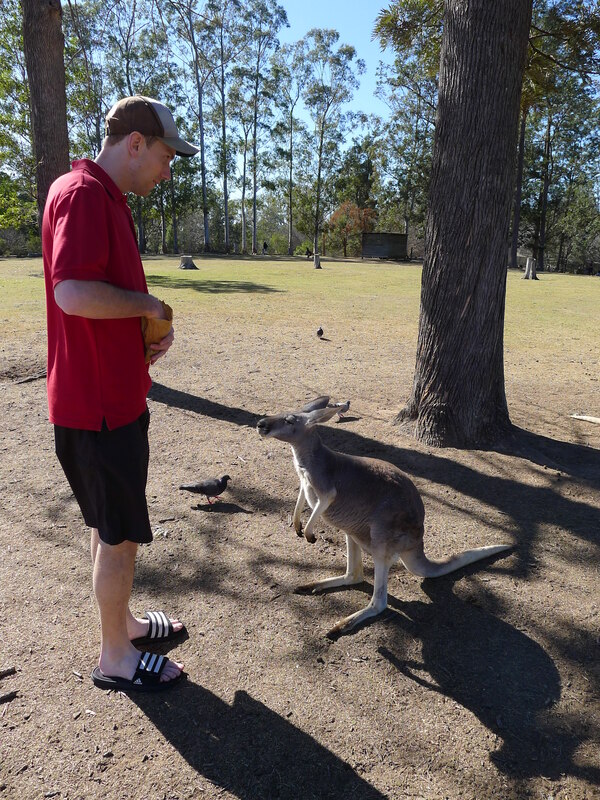 When we headed into the kangaroo petting zoo I couldn’t resist…I saw my first kangaroo and instantly thought–SCOTT BROWN! 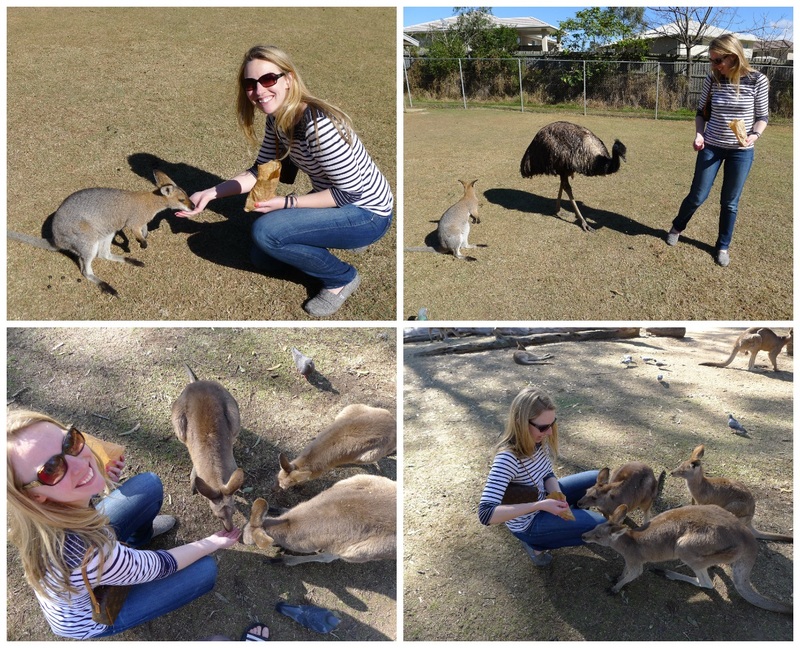 I would bet the typical Cosmo photo is inspired by the way kangaroos lie down. 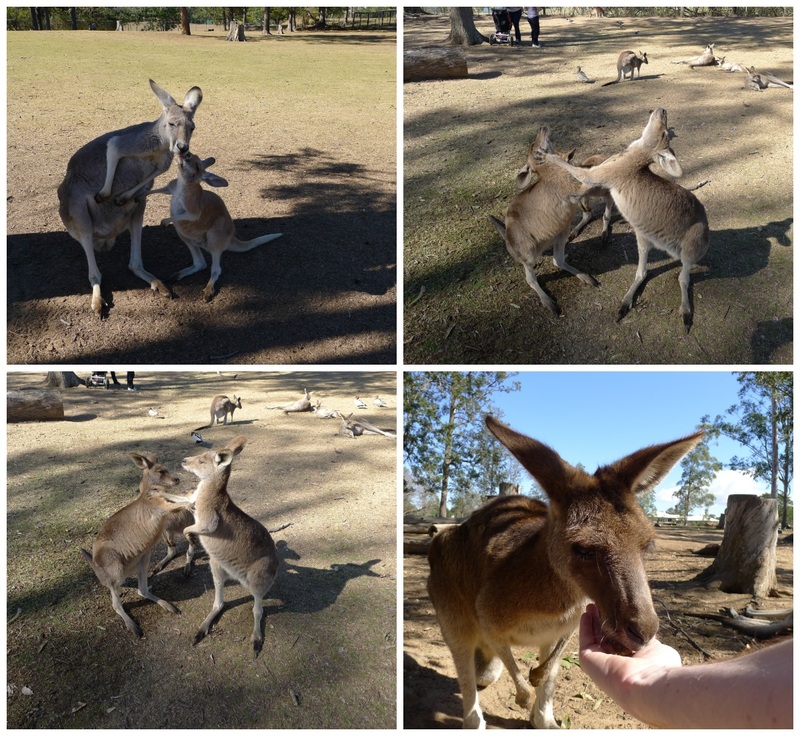 The below top is one of my favorites of the day–kangaroo stare down. 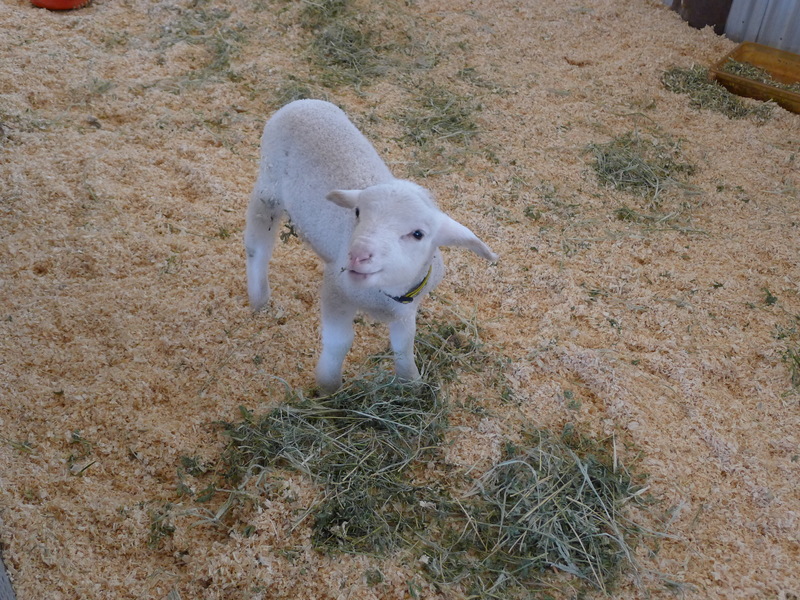 Luckily we got to the zoo early because by the time we left it was packed. 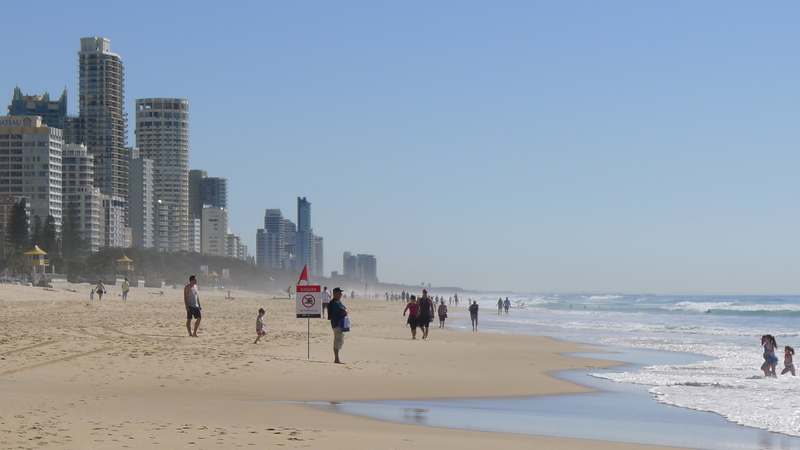 We drove to the Gold Coast for warmth and beaches. We arrived to our hotel, checked in, and walked around some more! At this point I was really walked out. 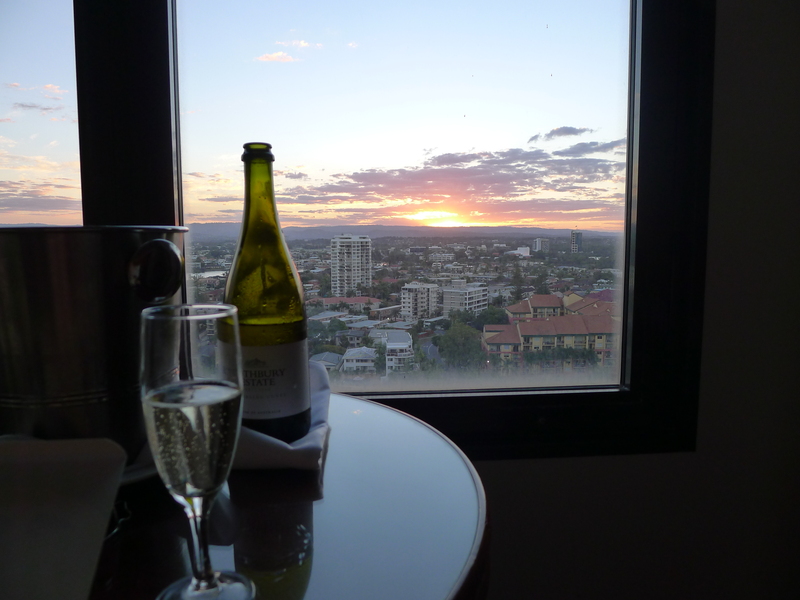 Luckily we went back to our room for sunset and enjoyed the sunset from our room, complimentary champagne in hand! 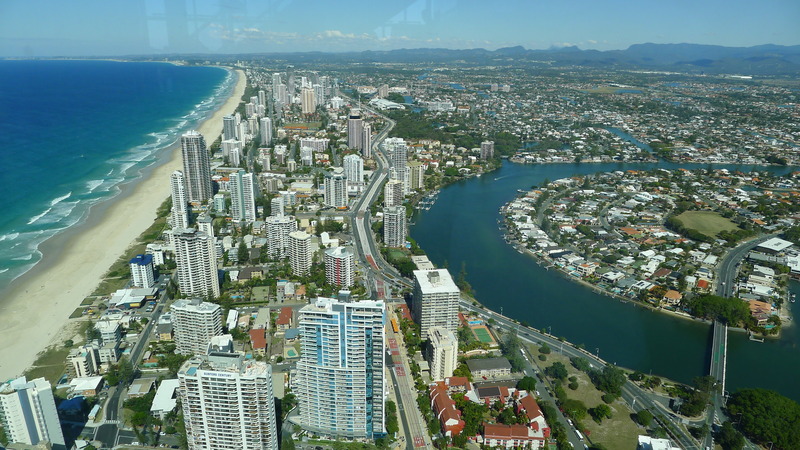 Sunday night we walked (ugh) down to Broadbeach where all the restaurants we heard about were. We perused a bit and ended up at Max’s where the service was fabulous and the food was just what we needed. Keith ordered alfredo that involved “Bay Bugs.” These things looked rather gross but ended up tasting just like lobster! The next morning was hot–perfect beach weather. We enjoyed the beach before checking out of the hotel and heading up the nearby observation tower. 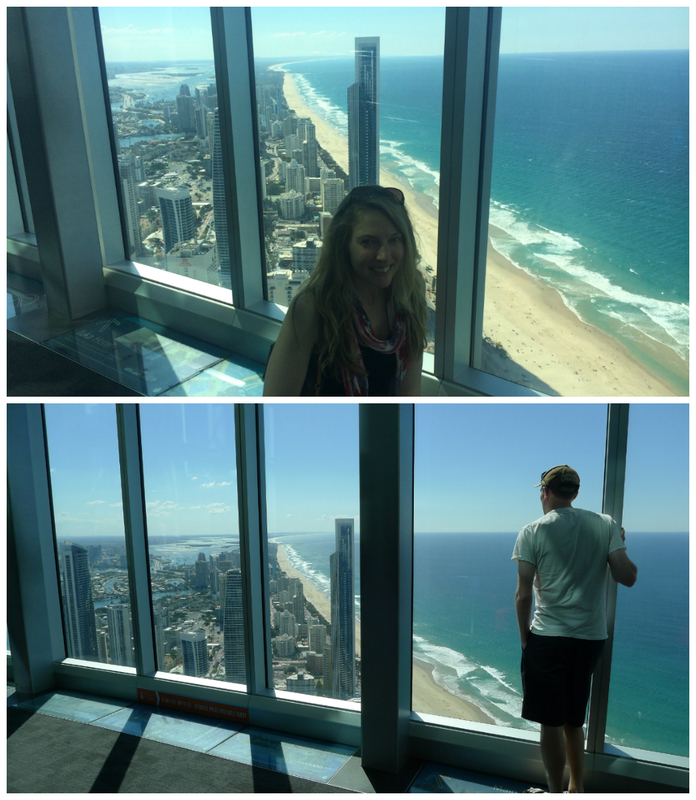 I’m not always a huge fan of paying to ride an elevator, but the SkyPoint observation deck was worth it. What a beautiful view of the beach! Plus the Q1 building is the tallest purely residential tower in the world! We decided to drive around the rental car a bit more, and through the power of Google discovered a nice little restaurant at the FAR south end of the beach–Oskars. The funny thing about the Gold Coast is that no restaurants are on the water, so it was nice to finally find something where we could see the water from our table. We enjoyed some seafood chowder and scallops and headed back to Brisbane Airport. Overall an amazing little vacation! 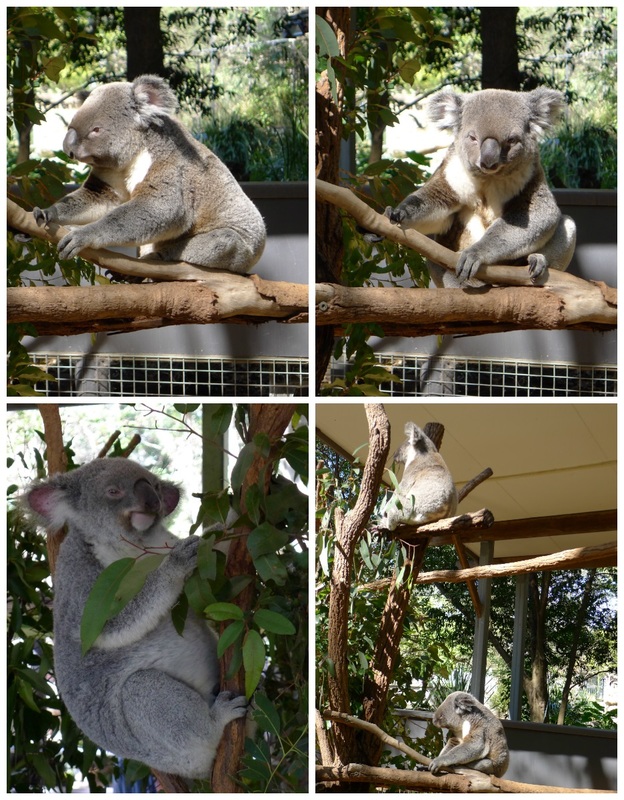 Keith & I just talked about our highlights and agreed — Lone Pine Koala Sanctuary! 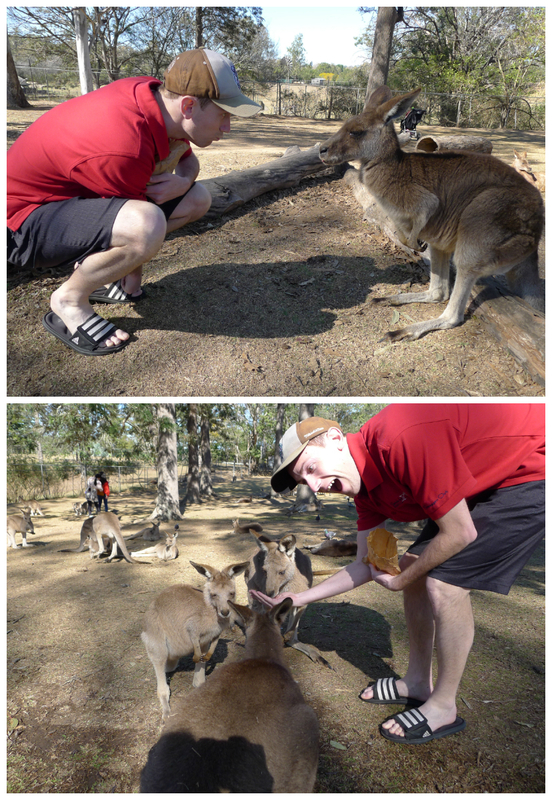 Keith loved hanging out with the kangaroos and I was pretty psyched to hold a koala. 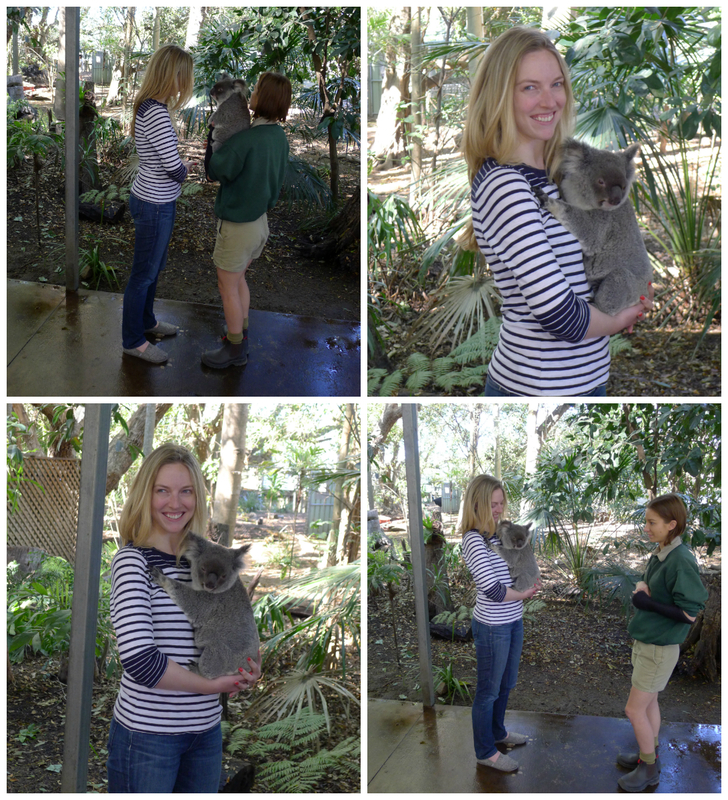 Additionally, it was a huge perk to have friends in Sydney to see and hang out with for 2 days. I finally escaped Christchurch and have a post full more exciting pictures (that is, if you don’t think coffee-photos-of-the-week, or hanging out with a sheep’s wool high visibility sweater make for exciting photos, I know my mother finds them exciting). Not too say Christchurch is bad, it is just…small. This is mainly thanks to the earthquakes–when I visited Christchurch in 2008 the central city was bustling with activity, now it’s much more spread-out. To be frank, Christchurch’s greater population is about 350,000–this makes it the biggest city (and I like to think, the only city) on the entire south island which can feel a bit suffocating after a while. On the other hand, Christchurch is a great jumping-off point to head off on an adventure–like hoping on a plane and jumping the ditch for a 3-hour trip to Sydney, Australia. 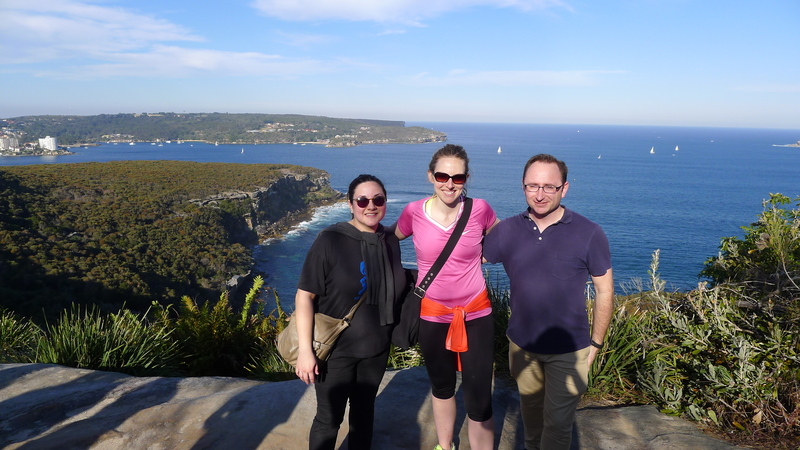 I’ve had the really great opportunity to have gone to Sydney before and one of my colleagues had as well. The other colleague was staying in Australia for the rest of the week; therefore, our 2-night weekend stay was really all about relaxing, enjoying the city life, and forgetting about Christchurch and work for 48 hours. Fortunate for us we have some pretty awesome clients–one in particular that gave us a breakdown of all the best places to go, what times to go, and on what weekend day. After hoping off the plan we found a great dinner at The Morrison and then eventually stumbled upon Baxter Inn after following a small crowd into quite the sketchy ally and down an awkward stairwell. Luckily Baxter Inn was really a very nice, tiny, and low-key bar that favored playing swing music in the background and hiring bartenders with handlebar mustaches–a great find if you’re ever in Sydney! 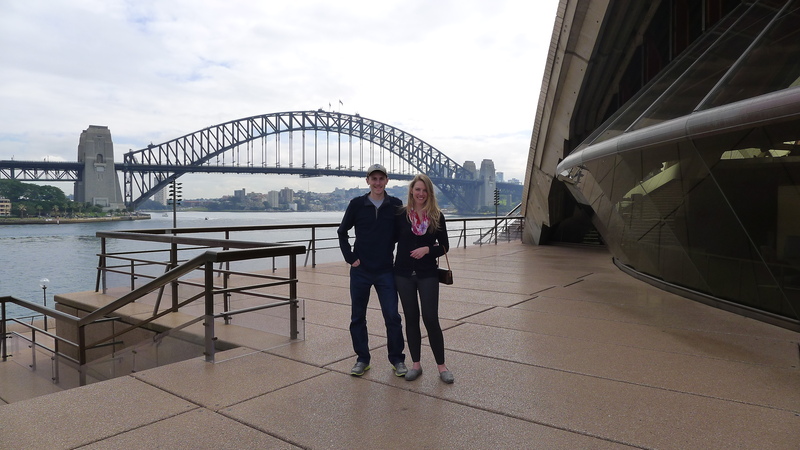 On Saturday we found breakfast along the Circular Quay (pronounced “Key”, I constantly forget this…) and then headed to the Sydney Bridge to get a better view. Rather than doing the bridge walk, you can pay a low fee of $15 to get you into the pylon (layman’s term – those giant stone structures at the ends of the arch) which you can climb up for an amazing view. The rest of the afternoon was spent literally sitting in front of the Opera House at the Opera Bar and making friends with whomever sat next to us at our table. This all resulted in an afternoon nap, sleeping through dinner reservations, and waking up around 11:30pm wondering what to do. 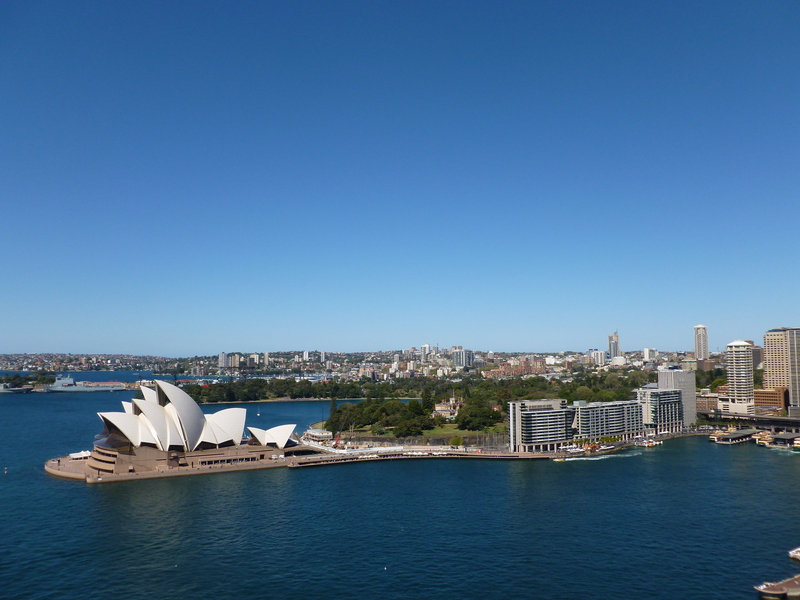 Well, we were in Sydney, so obviously we couldn’t just sleep through it. We ended up at a beer garden and eventually decided we should cautiously head to Kings Cross – like NYC Times Square somewhere in-between the bad times and the present. Fortunately, Kings Cross was seemingly safe and we ended up at a hotel bar porch overlooking the street all night into the morning. I have yet to experience NYC nightlife, but it seriously amazed me how we left at 5am and everyone was still there. I felt like I was leaving a party early. 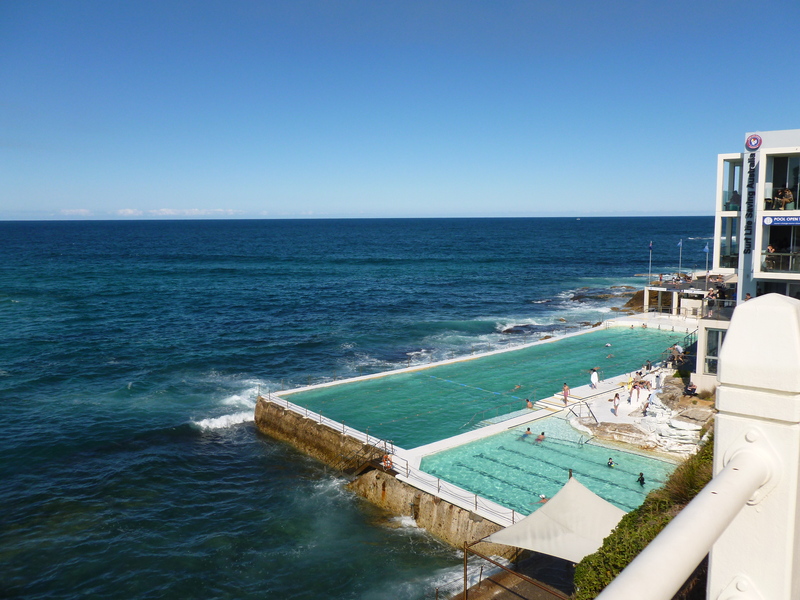 Sunday morning involved a good breakfast on Crown Street and a bus to Bondi Beach. 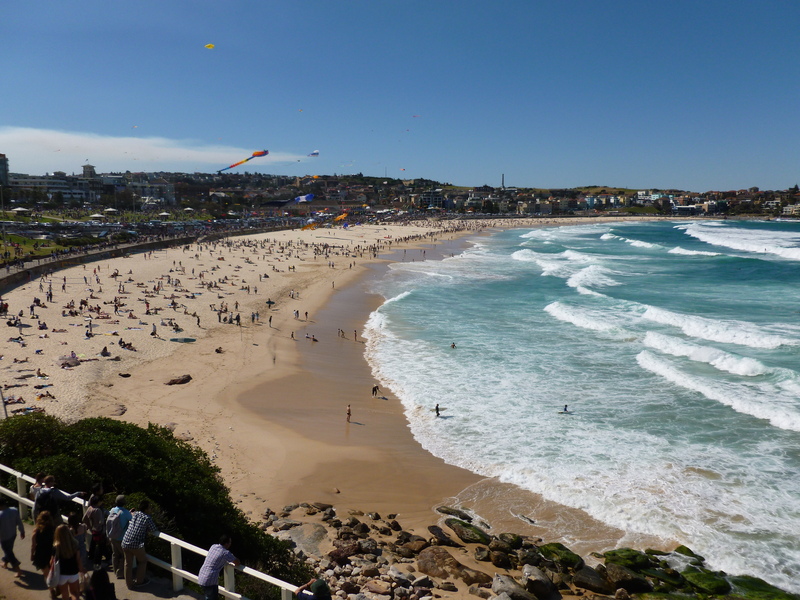 Bondi was beautiful. 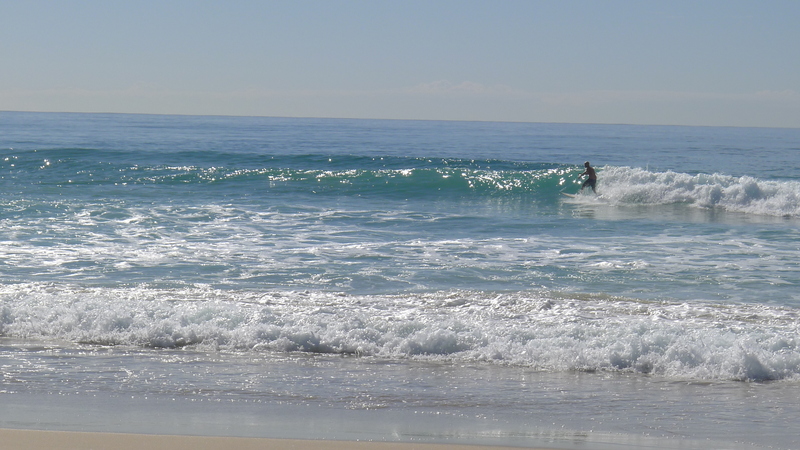 The beach was packed with people and the water was packed with surfers. We bought some gelato and then walked along the beautiful Coast Walk until it was time for 2 of us to say goodbye to our vacationing friend and head back to the airport. 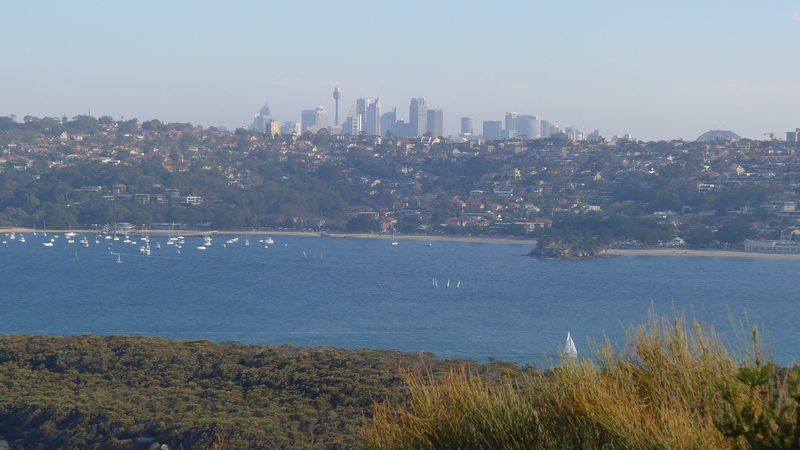 We reluctantly taxi’d back to the Sydney International Airport after a great weekend. I then learned I need to travel more to obtain airline gold status like several of my coworkers, or just make sure I travel with them more often–the complimentary hot buffet, private bathrooms, and drinks were just what I needed to top off the trip. New Zealand has a lot in store for me over the next 7 weeks. Work is busy and there are a lot of upcoming bucket-list items I have the pleasure of crossing off.